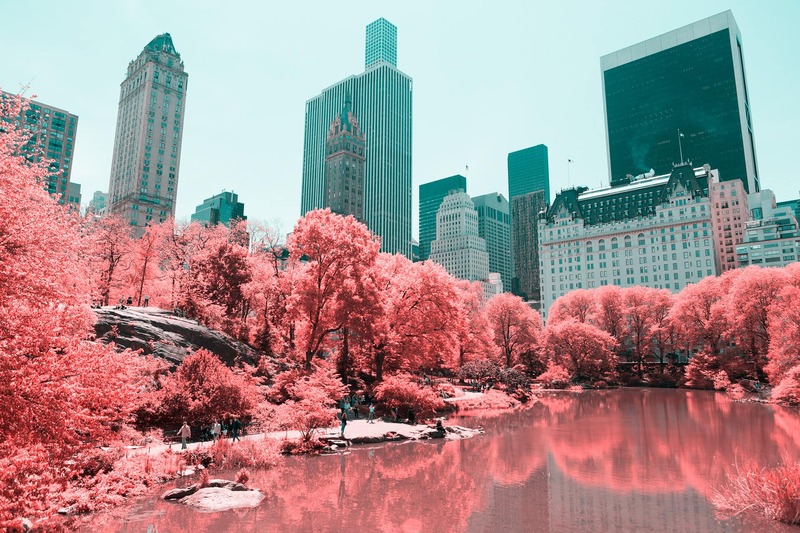 Through the wonder of infrared, you can see the otherwise invisible, heat food and render Central Parks trees, plants and grass a shade of pastel pink. 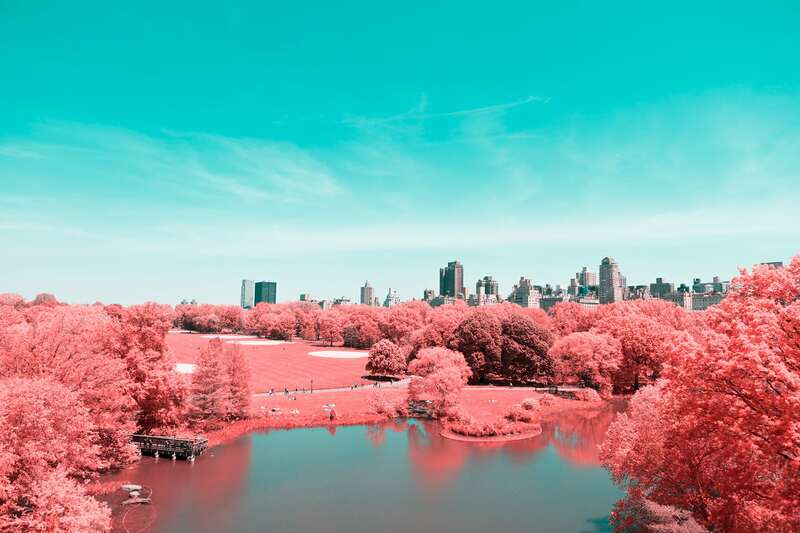 On all of its sides, Central Park’s lush greenery is set against a backdrop of intimidatingly dense residential blocks and towering glass skyscrapers. 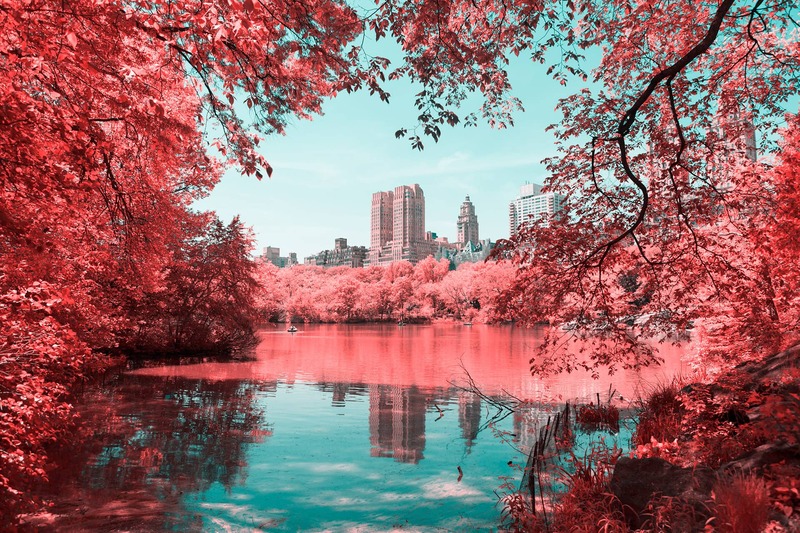 Wanting to highlight the contrasts, contradictions and inconsistencies of what is a pretty unique environment moved, graphic designer and photographer, Paolo Pettigiani to take on INFRARED NYC. 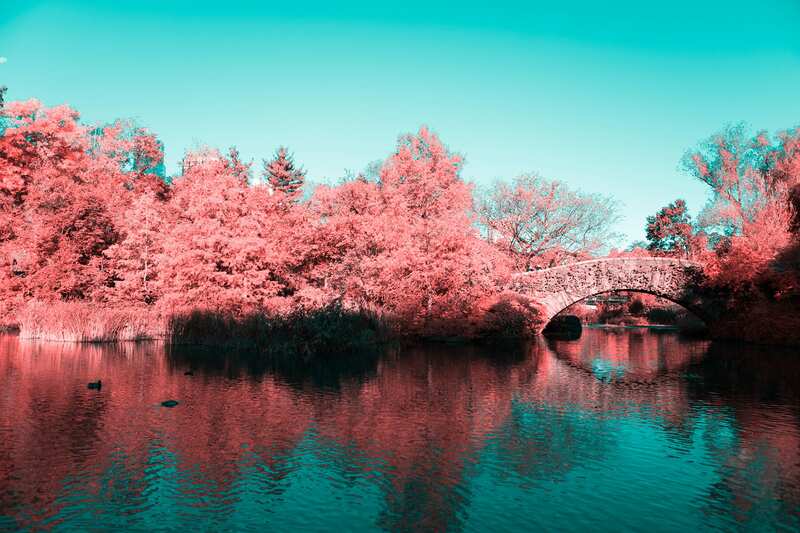 Through infrared photography INFRARED NYC invites us into a “new world unseen” by rendering all of Central Parks green elements pink. And how does it work? 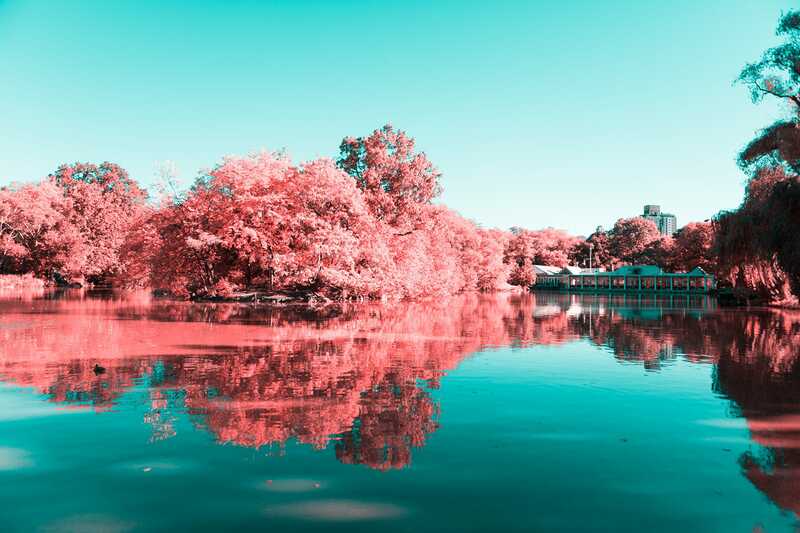 Using a special filter in front of his lens, Paolo Pettigiani, is able to block the visible light reflected by chlorophyll found in plants, capturing only the 80% which is otherwise invisible to the human eye. The other elements in his images that remain true to their usual colour, do so because asphalt, bricks, water etc. do not reflect the infrared light. You can check out the entire series at Behance and learn more about the artist at paolopettigiani.com.